Those learned people among you will know that Giraldus Cambrensis (ie Giraldus “Of Wales” which is where we got our name) was the first Archbishop of Wales who famously rode around Wales on horseback taking the gospel to all parts. 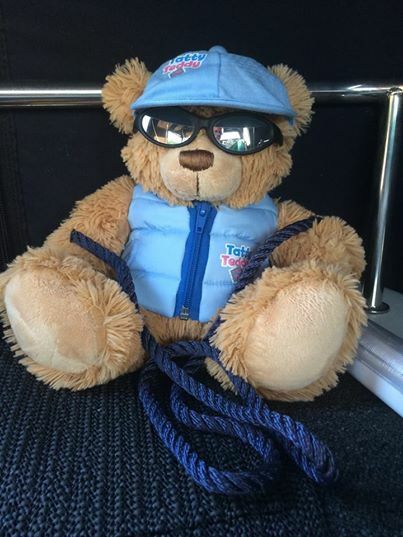 But there is a modern day Giraldus, our new Choir Teddy Bear. He is being taken places and we already have pictures of him not only in concerts, playing various instruments but he has been abroad in the sun and captaining a boat on the river Thames. Yes it’s all silly but we’ll try and keep you posted with his whereabouts! … latest adventrues… Giraldus was introduced to the public in December at The Promise of Christmas, where looked very smart in his new dress suit… he went skiing over the new year and was kidnapped. His ransom was paid and he came home safe and sound.